They could have taken one leg each by agreement, why fight? The current day politicians are simply crazy. 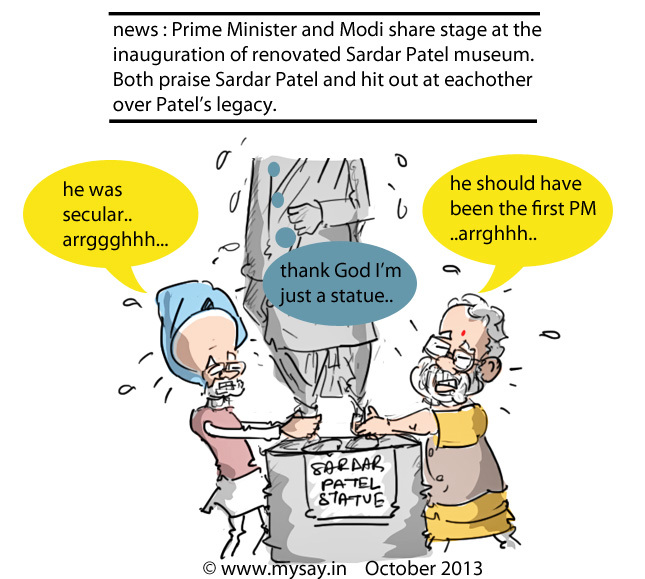 I’m sure even Patel’s statue would be shedding tears at this. Haha a good one again. I was actually watching the debate on this issue yesterday on tv and remembered that Jack would be up with some doodle. Visited your blog after a long time. i will be on your space on 25th 🙂 forsure Party Time ! !